Your report published on 7/2/2014 about Egypt is an outrageous double standard policy that leaves me no choice but to tell you guys, that being ignorant is not so much a shame, as being unwilling to learn! We are no longer in shock whenever the EU members open their big mouth and address a double standard statement to Egypt. This is the same European union double standard policy which supported violent protesters in Ukraine in 2013, while totally ignored huge peaceful protests in Turkey and Spain! You guys have two definitions for everything, it all depends on who cooperates and who doesn’t! It doesn’t matter for you guys if a corrupted fascist regime in Turkey is smashing their own people and opponents, as long as the regime is an ally of yours or a US ally. You did the same thing in supporting and rewarding the regime of the Muslim Brothers, while they were killing us and dragging us to the dark ages, and still you dare to lie and claim that you support the people and their human rights! EU showed solidarity with violent protests in Ukraine, but did not show any solidarity with peaceful protests in Turkey. You guys are practicing politics, exactly like someone is practicing obscene acts in public and daring to say “Yes I Can”! If violent protests were happening in Britain, France or Germany, like the ones took place in Ukraine or Egypt, These protesters would be considered terrorists or mobs and would be given very tough prison sentences. In Britain when there were riots, they had one man who wrote on Facebook, encouraging people to go to riot in a local town. He got sentenced to four years in prison! In Egypt, Muslim Brotherhood published on their social medias accounts, addresses and full names of Egyptian police and military individuals including their children and families addresses and incited for slaughtering them, and the EU is telling our security forces to stop acting violently towards peaceful terrorists protests! If disgusting has another definition other than sickening, I would add your European Union as another definition to it. The European Union’s report addressed to Egypt is already taken to the trash box of history, because this is exactly where it belongs. The EU should change the principles and main goals that it was first established on, in order to match with their disgusting reality. 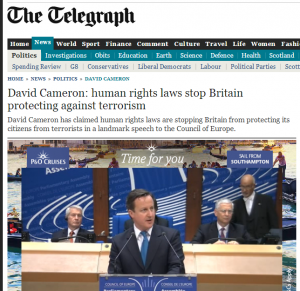 The EU doesn’t promote human rights whether internally or around the world. Human dignity, freedom, democracy, equality, the rule of law and respect for human rights: These were the core values announced by EU which are totally contradictory to the EU real practices in reality. There is no difference between EU, US and UN, they are all united for their own interests and agendas even if those interests are going to be achieved by stepping on our own dead bodies. There is no equal human rights in the EU dictionary, telling our security forces to commit themselves to restraint and avoid violence while facing car bombs, explosive belts and bombs planted in the streets, and machine guns! What kind of restraint should they follow, when they are getting killed under their own homes and in front of their wives and kids? Perhaps EU considers the Egyptian security forces don’t really belong to mankind and they can just accept to get killed and die silently so the European Union members can have their evening tea without any disturbing news! The EU is obviously still in mourning status on their beloved Muslim Brotherhood terrorists organisation overthrown by 30/6 revolution. 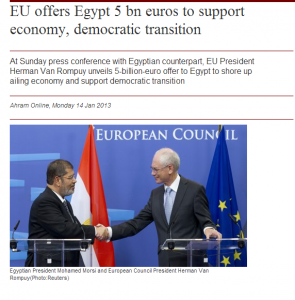 Which reminds me of EU President Herman Van Rompuy unveiled 5-billion-euro offer to Egypt as a reward for Muslim Brotherhood fascist terrorist transition and the dark ages 2012 constitution of their sweetheart darling Mohamed Morsi! There is no justice nor the rule of law in telling Egyptians to sit down and negotiate with terrorists who are committing terror attacks against the entire society on a daily basis. EU still wants to force Muslim Brothers on 80% of the Egyptian people. Egyptians are not rotten kids in the EU kinder-garden, and we don’t take orders from imbeciles. Your nose is getting bigger and bigger from interfering in our internal affairs with such unashamed interference. 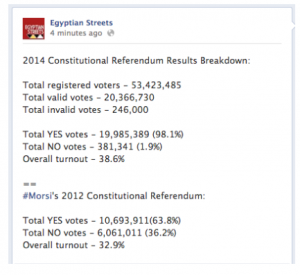 There is no democracy in the EU dictionary, criticizing and attacking Egyptians for voting on the constitution referendum because the EU experts in idiocy, don’t agree on the constitution articles that concern Egyptians and not European people! EU members reject this constitution that had more than 20 million voted yes, because the EU considers 30/6 a coup which smashed the Middle East creative chaos project announced by Miss Universe Condoleezza Rice in June 2005. When Rice visited Egypt and declared that if Islamist reached power in the Middle East, this doesn’t necessarily mean that it would be an obstacle for political reforms in the Middle East Region. Yes, tell me about the Islamist reforms Ms Condo Lying Rice! There is no respect for human rights as long as the EU is in a deliberate total denial about MB crimes and terror attacks against the Egyptian people. In their shameful report, EU attacked and accused falsely the Egyptian state of using violence and didn’t mention a word on Muslim Brothers crimes and violence, or damage to private and public properties, and bombing of vital buildings that they commit daily in Egypt. The EU did not forget to attack Egypt for applying the law against the representatives of civil community and political activists who betrayed their own country and people and accepted to apply fake democracy for foreign funds. EU also told Egypt that they must leave whether locals or international representatives to move and work freely in Egypt. I didn’t know that Egypt is a part of the EU’s inheritance left by their ancestors! 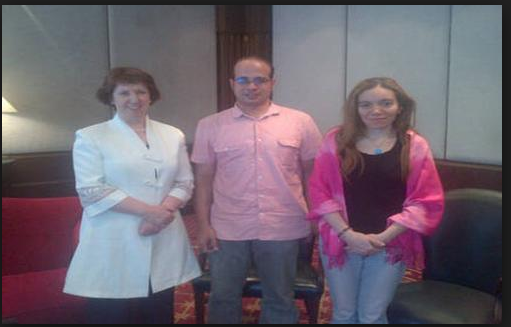 Ms Catherine Ashton, Egyptians know who you are supporting and why. Egypt is not going to release traitors, criminals or outlaws from jails, because Egypt is applying its own laws and not your EU orders. How about if I invite Al Qaeda members, or Hamas members, they are both the military wing of Muslim Brothers organization to protest under the members of EU homes, carry their swords, black flag and some machine guns and claim that they are human beings and have rights!? Would this be acceptable?! Ms Catherine Ashton was asked this direct question in one of her visits by one of Tamarud campaign’s members who started the 30/6 revolution. Her answer was definitely no, she doesn’t accept it. Meantime, Ms Ashton didn’t bother to visit any Christian family who got a son killed by MB or a church burned, but she was very concerned about Mohamed Morsi’s health and the kind of food he was served to fill his big belly with! I guess that Ms Ashton can ask one of her friends in the civil community organizations or foreign NGOS, how much would they pay me to apply democracy in Egypt? I’m sure they know that the cost of living is very expensive and I need to get a part time easy job to increase my monthly income. So, how much would they pay me to spread their democracy in Egypt?! 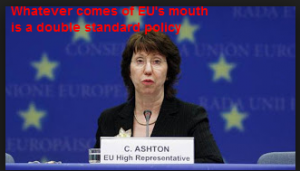 The EU double standard policy and lies obviously became a pillar of their union. The EU don’t relate to democracy, but they pretend to be democratic. 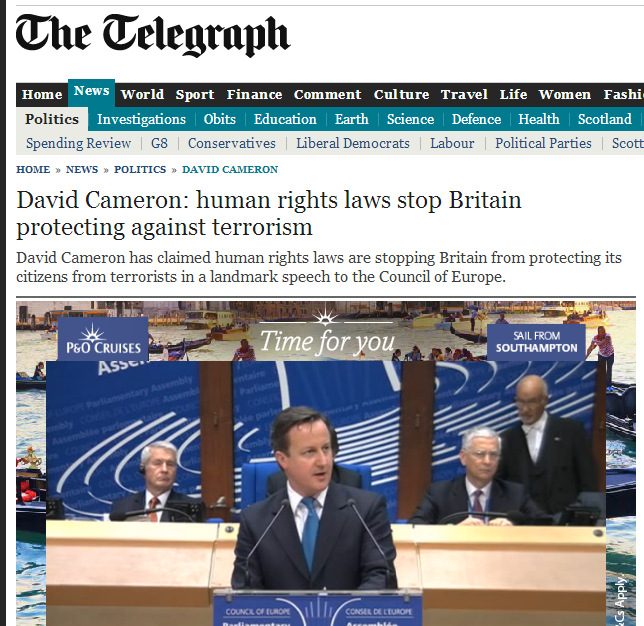 I don’t see any democracy in EU’s support of fascist terrorists regime in any country! You guys will never learn from history, not because you are ignorant, but because you are liars and hypocrites by nature, you know that you are deceiving Egyptians like you are deceiving your own people, declaring these big speeches about support to human rights and democracy, while you are the ones who are violating human rights. European Union members, you are hypocrites and hypocrites get offended by the truth. And from now on, this is he truth you are going to hear from Egyptians.